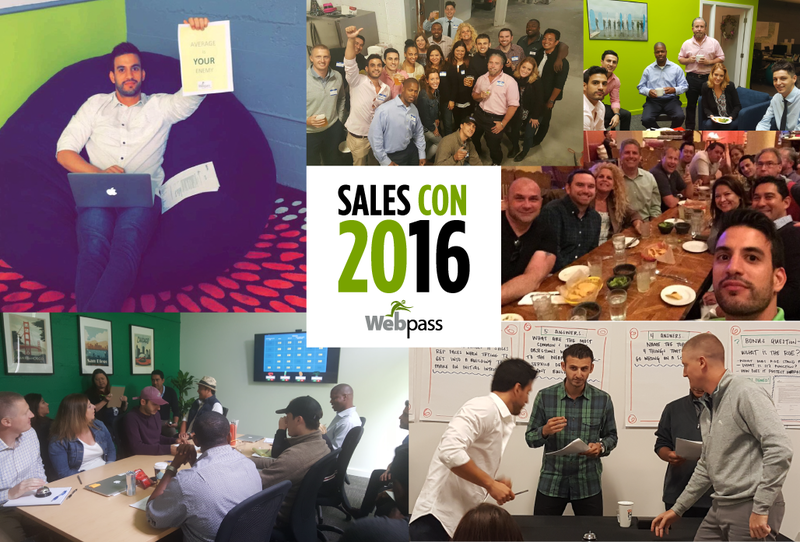 We’re growing quickly here at Webpass, and recently hired several new Account Executives to join our team. These newbies spent their first week in our San Francisco headquarters going through a sales training bootcamp we affectionally named SalesCon. Unlike ComicCon, there were no costumes. There was greeting, meeting, and lots of eating. There were also a few margaritas. Beyond getting to know each other they had intensive sessions with our leadership team and our sales veterans. While the training was intense, in typical Webpass fashion it was also a lot of fun and included a Scavenger Hunt out in the field, a Family Feud style training on overcoming objections, and our take on the classic game show Jeopardy to test their technical knowledge. After their first week it was clear our newbies had become part of the Webpass family and we’re looking forward to watching them leverage their unique talents here at Webpass. Founded in San Francisco in 2003, Webpass is revolutionizing what customers can expect from their ISP. We are now part of Google Fiber thanks to our leading-edge approach. We pride ourselves on delivering simple Internet service designed around the needs of our customers. Unlike our competitors, we own and operate our Ethernet network, eliminating dependence on phone and cable companies. This successful formula has helped us quickly become one of the fastest Internet providers around. We offer business Internet connections from 10 - 1000 Mbps and residential Internet connections from 100 Mbps - 1 Gig. Webpass currently operates in the major urban markets of San Francisco, Oakland, San Diego, Miami, Chicago, Boston, and Denver. You can sign up for residential services, or contact our sales team for business service.